Having recovered from a fire accident, which halted production at its larger refinery for nearly two years, Byco is now on the offensive. Equipped with a catalytic reformer that enhances its motor gasoline refining capacity by five times, it vows to surpass market leader PARCO by this summer. It is a breezy Friday afternoon in Mauza Kund, Hub (Balochistan), about 50 kilometers west of Karachi and a stone’s throw from the famous recreational spot, Charna Island. At the Hub Jetty, the air is filled with optimism and excitement as top management of Byco Petroleum is hosting journalists, members of Oil and Gas Regulatory Authority, federal ministry of Petroleum including director general, and officials of other petroleum companies for a boat trip to their floating port – the first of its kind in the country. The sea is unseasonably rough for early March, and the choppy water makes embarking and disembarking from jetty to small boats and then to the larger one extremely difficult. After everyone is on the larger boat, we leave for Single Point Mooring (SPM) or the floating buoy, about 10 km away from the shore on the coast of Arabian Sea. Sailing against the wind at 10 km an hour, the boat successfully negotiates with crests and troughs at times more than two meters apart, making many onboard a trifle uneasy. Some throw up, others take refuge in the basement or the living room to avoid sea sickness. In about an hour, we reach the SPM to witness 300,000 barrels of crude from Qatar Marine being offloaded. The SPM, we’re told, is anchored at a depth of 25 meters. Disregarding the rough sea, the operation continues unhindered, transferring the crude through a pipeline – running 10.5 km subsea and 3.5 km onshore – to the storage tanks back on the land at Byco’s refining complex, the largest in the country with installed capacity of 155,000 barrels per day (bpd). “Our SPM is a proven technology; it stood rough seas and monsoon [since its commencement in 2012], always functioning smoothly,” said Asad Siddiqui, Byco’s Vice-President Commercial with a hint of pride. While continuing to explain its working, he said: the vessel is tied to the floating port at one end and a tugboat at the other, meant to hold the ship steady – and circumvent the vessel to release the ropes of any tension that may result from strong winds. Strategically placed in the deep sea, the SPM technology enables large vessels carrying over 100,000 tons of cargo and requiring specific depth to offload petroleum products directly to the refinery without any delays, bypassing demurrage charges and other bottlenecks at the country’s conventional ports. Referring to it as Pakistan’s third port, prior to the SPM, Byco had to transport imported crude 100 km west from Port Qasim. In the fiscal ending June, 2017, Byco brought crude vessel of over 102,000 tons at its SPM, the largest ever to berth in any Pakistani port. On our way back to the jetty, talking candidly to Profit, Siddiqui said, it wasn’t an easy project. Recalling the whole exercise, the Byco VP said, laying the undersea pipe was a challenge. Floaters (balloons) were attached to the pipe to ensure it remains on the surface, then extended all the way to the SPM and later allowed to sink on its weight and imbedded at the seabed. A game changer for the industry in general and Byco in particular, the project was so special that Byco preserved these moments in a series of pictures, now displayed in the corridor that leads to the control room in a containerized building at zero point. It is from this small building that Byco’s staff monitors SPM’s operations round-the-clock, using all available means: a satellite navigation system, coastal radar surveillance and a telescope. “This is the future, since 50 percent of all crude imports to the country will come through SPMs,” said Siddiqui. This SPM accounts for a quarter of total crude imports this fiscal year, according to the Oil Companies Advisory Council, an association of petroleum companies, up from 14% at the end of FY2017. Byco takes great pride in being the first to set up a floating port in Pakistan and its executives frequently boast about it in every press briefing, but the SPM, which is operational for over five years now, is not where the present optimism and excitement stems from. Earlier in the day, Byco celebrated the inauguration of a catalytic reformer at its larger refinery (ORC-2). The reformer will give Byco the additional strategic advantage of producing significantly higher quality motor gasoline, said Byco’s vice-president of operations Mansoor Shafique Qureshi. 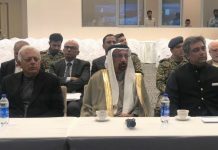 Briefing the media at the facility, a visibly excited Qureshi said the reformer has enhanced Byco’s cumulative motor gasoline (petrol) production five-fold to 1,500 tons per day – the figure is based on the combined current level of crude processing at both of its refineries, which stands at 75,000 bpd. This reformer will enable the company to convert 24,000 bpd of heavy naphtha, a light product of crude oil, into premier motor gasoline (PMG) or petrol. This upgrade will bring further improvement in the company’s profitability simply because gasoline offers better profit margin than furnace oil (FO). Byco had already stated in its Director’s report for FY2017 that it is pursuing growth in higher margin products like PMG and diesel. In fact, Byco is planning to upgrade one of its refineries with fluid catalytic cracker (FCC) technology – a major conversion technology, which currently produces the majority of gasoline globally. The officials didn’t give an exact date for the new plant, but stated that Byco will be the first company to go for the FCC technology and convert its FO to either gasoline or diesel. If the company goes for a new FCC plant, they are looking at $1 billion in investment. However, the officials also pointed towards the possibility of buying a refurbished plant that costs “a lot less”, about $600-700 million. With the new reformer already online, recommissioning of an isomerization unit – another technology to convert naphtha into motor gasoline – to commence in April, and an FCC plant on its immediate to-do list, Byco is on the offensive. 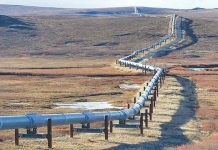 The company says it will increase its volumes from the current 75,000 bpd to more than 100,000 bpd by this summer. When it gets there, Byco will become the largest fuel producer in the country, surpassing market leader Pak-Arab Refinery (PARCO), which is producing 100,000 bpd of refined petroleum, oil and lubricants (POL) products and doesn’t have additional capacity. However, this is only a small part of a bigger, seven-year expansion plan. Spread over 1,000 acres, Byco’s refining complex comprises of two crude processing units, ORC-1 with a capacity of 35,000 bpd and ORC-2, which can process 120,000 bpd of crude by design but currently handles only a third of its installed capacity. In other words, Byco is processing less than half of what both these units are collectively capable of. “First, we would like to utilize our existing facilities and then gradually raise capacity,” said Qureshi. That is, Byco plans to increase production to 155,000 bpd or 100% of its installed capacity in the short term. And by 2025, it plans to raise storage and production capacity to 400,000 bpd and 4,50,000 bpd respectively. In fact, it has already sought permission from the government to setup two more SMPs by 2025 — Byco’s response to how it is going to finance the planned expansion was awaited when this report went into print. Pakistan’s current consumption of refined petroleum products stands at 27 million tons per year, while the local refineries are currently producing only 10.8 million tons. This is much less than their installed capacity, which stands at 18.5 million tons. So the delta for existing and greenfield plants is still there, Byco says, adding, the industry would like to utilize existing capacity to 100% before installing more capacity. Byco’s share in the locally refined products is 16%, up from less than 5% a decade ago. Their next target? To capture 38% of that market. “The existing property has enough space to install two more refineries,” said Byco’s Haroon Rashid pointing towards the vast open space in the premises. 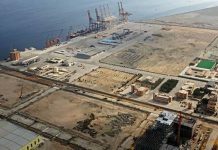 If it does install a new refinery of 100,000 bpd, it will entitle Byco to a 20-year tax waiver from the government encouraging new refineries along the coast of Balochistan. 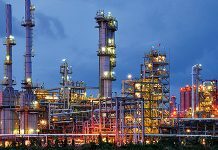 Setting up a refining complex of this kind today would require $20 billion in investment, said a company official with a sense of pride one wouldn’t expect from the company that has, on one pretext or another, remained in hot waters in the last few years. In half a dozen years until June 2017, Byco reported loses in the first three while trying to remove some of its debt off the balance sheet. Despite being hit hard by the slide in international oil prices starting in mid-2014 until January 2016 when it fell below $30 a barrel, in FY2015, the company still managed to report its first operating profit in four years. The jubilation though was short-lived as a crude charge heater at its larger 120,000 bpd refinery was burned only three months of its inauguration. Subsequently, the company laid off a third of its work force, and merged all its units into Byco Petroleum.The production at ORC-2 remained suspended for nearly two years before it was back online last August. Its recent troubled history kept Byco off investors’ radar. Even today Profit’s calls to security analysts were responded with lack of interest. “This is a troubled stock and investors (our clients) are not interested, so we don’t cover it,” said an analyst. Byco’s stock is trading at Rs15.03 per share, still a far cry from the peak of Rs27.10 per share on July 1, 2015. It didn’t pay any dividend in the last financial year. Another not Byco-specific reason though of investors shying away from refineries was the changing dynamic of Pakistan’s energy mix and uncertainty about the government’s policy on furnace oil (FO). Accounting for 85% of the country’s FO consumption, Pakistan’s power sector is moving to cheaper fuels – coal and regasified liquefied natural gas (RLNG). This has put refineries processing FO in huge quantities under a lot of pressure, owing to the particular variety being 37% of the country’s consumption. The government policy to phase out furnace oil only added to their woes. Byco did away with FO imports in the last fiscal, but media reports suggest it still has about 40,000 tons of unsold stock — FO is 35% of Byco’s volumes. The government has since softened its stance and allowed local refineries to continue selling FO to the power sector. As per the current policy, power producers are asked to use coal and RLNG first and any shortfall have to be met through FO, which has to come from local refineries since the government has restricted imports of FO. Pakistan’s FO import is 6 million tons, with another 3 million tons produced locally. In other words, local refineries, which were hit by shutting of FO-based power plants, stand to gain the most of government’s policy since coal and RLNG can’t make up for the entire 6 million of imported FO and power producers will have to rely on local supplies. 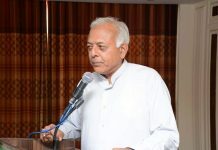 Once the import of FO is stopped, Byco will increase its production to ensure availability of local supplies to meet the shortfall in demand, said Siddiqui, noting that not all power plants are on coal or RLNG. With general elections scheduled for September, the government would like to ensure higher generation for which power producers will need FO. As things stand, Byco will continue to sell of FO stock and raise production in high-margin PMG. In a couple of years, if not earlier, it will have installed its own FCC to replace FO with either gasoline or diesel, said a confident-sounding Siddiqui. Even if one ignores the sense of elation in Byco’s upper-tier management, the numbers suggest that unless something unforeseen happens, its worst days are behind it. Byco’s operating profit has been improving since 2015 and so has its net earnings. Shareholders’ equity now stands at Rs20.9 billion (end of FY2017), much improved from a negative Rs8.6 billion (end of FY2015). Breakdown of refined petroleum products in Pakistan. Currently, petrol and diesel collectively account for 56% of Byco’s production, but the company aims to raise it to further expand its retail footprint. Launching its first petrol pump in 2007, Byco has since expanded its retail network to 320 outlets in 80 cities across Pakistan – still far behind the state-owned petroleum giant PSO (3500 outlets), and other significant players; Shell (780 outlets), Parco (765 outlets), Attock (600 outlets), and Hascol (490 outlets) to name a few. Byco plans to add 25 outlets every year to increase its retail presence. “We want our retail outlet at the highest hill in the country,” said Siddiqui, referring to the CPEC route initiative by Beijing that has pledged upwards of $56 billion in foreign investment in this country. “Growth in the number of vehicles being produced locally as well as imported and development of infrastructure are the main factors contributing towards the increased consumption of oil in the country,” Byco noted in its report. It is pertinent to mention that the retail sector has witnessed a significant growth in recent years, with demand for motor spirit increasing by 25% in the last five years. The demand will increase further after containerized traffic starts moving along. “Pakistan’s fuel demand will grow by 7 percent to 10 percent between now and 2020,” Byco CEO Amir Abbassciy told Bloomberg in an interview last year. The country presently has one of the lowest per capita consumption of oil in the world. As the economy grows, the demand for POL products will increase by leaps and bounds, he added, forecasting Byco’s revenue will double to $2 billion in fiscal year ending June 2018.